Paige's Page: Advanced Bunk House Decorating. 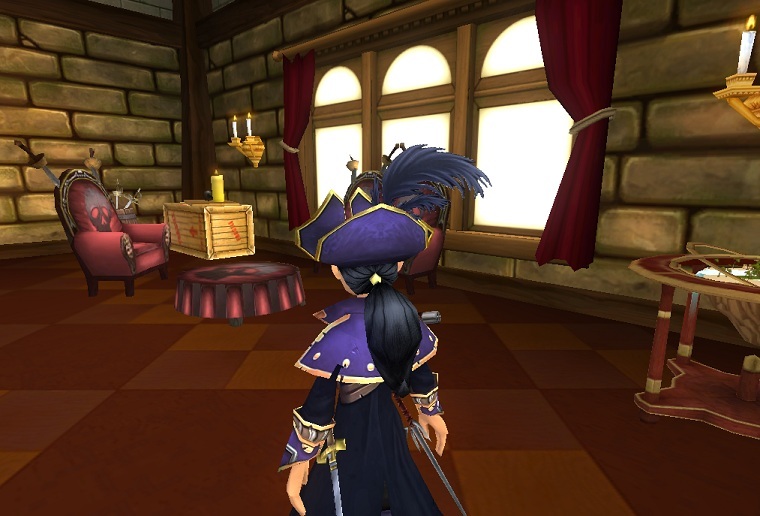 This segment will require Pirates to have access to Port Regal. There you will need to purchase Large pattern rug and the Ornate oval rug. You will also need the walls from Rapa Nui. 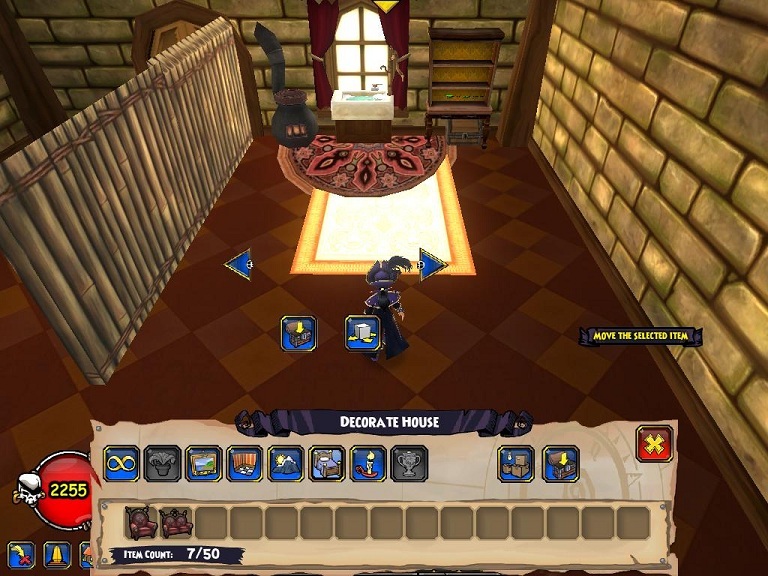 This segment will teach players how to make items part of your wall or plush against the walls. 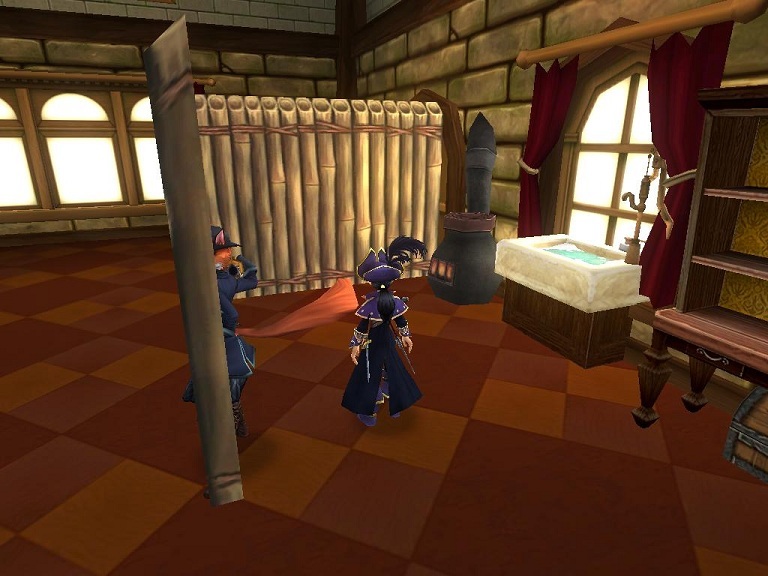 In Bunk House Decorating Pt 2 I showed how to create different basic themed bunk houses so i wanted to take this one step further. 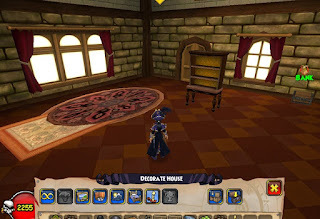 Take you oval rug and attach to the patterned rug, this will allow you to make items plush against the wall. I will be adding this shelf over my bank , the sink and the stove for my kitchen area. I am also going to use same technique to make a wall snug against the door frame to complete the look of another room. For this next room I place the rugs in a different set up because I wanted a bigger item to be plush against wall, much like this sofa which did not fit on the end of oval rug. Same technique place and move patterned rug. 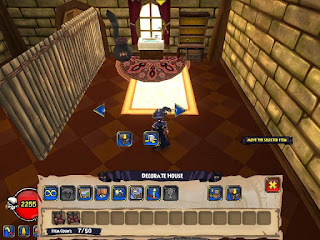 Once you have your main items you wanted against wall you can now add all the little details to complete your room look.This room has 27 of 50 items. I could even go more detailed if I wanted too with; food, weapons or wall hangings. I hope you enjoyed this bunk house segment. Until next time,happy house decorating. Thanks Paige for the awesome technique :D But i have a question.. In the above segment you showed how to plush an item 'horizontally' against a wall(like the shelf and the sofa).Is it possible to put an item(say captain gunn's treasure) 'vertically' in the corner of the walls using the same technique? 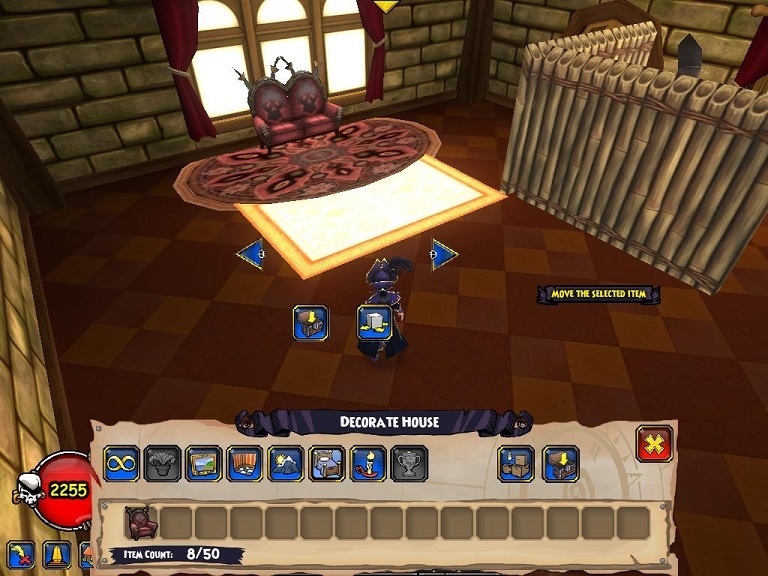 If it fits on the oval rug it can be place up agaisnt the wall. 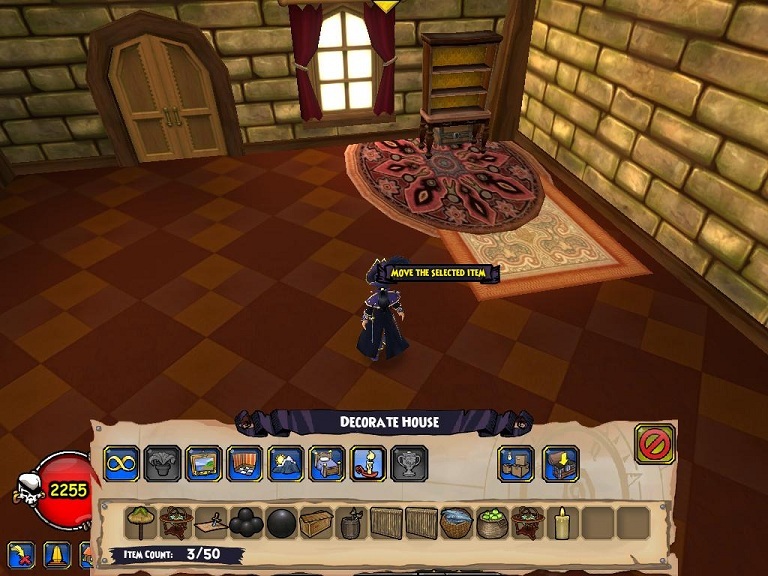 I would have to test the treasure to see if it fits on the rug. You can sometimes move the rug a bit to add larger items. Does it let you do housing glitches and make floating items and stuff on Pirate101 just like Wizard101? This technique is floating. As far as like making trails and such those are the only 2 rugs I have found to work. Thanks Paige! 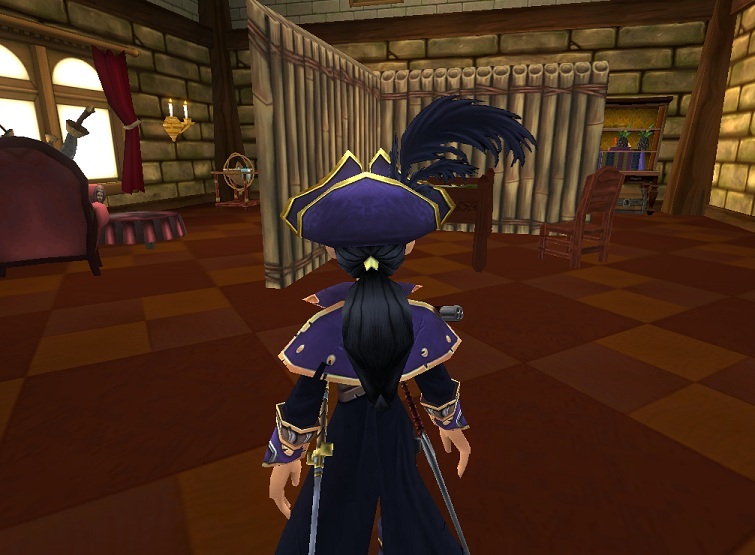 didnt know about glitching in p101. Legend!! oh btw I am Sly Tom Strong a 50 musket. 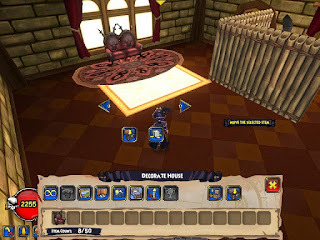 You have given me something to do while waiting for new worlds to plunder. Want to win a Admiral Bundle?? Random draw! !